The base : I use NYC's smooth skin primer. It retails at Walmart for $4.12. I also use NYC's smooth skin liquid makeup which I also purchase at Walmart for $5.56. The e.l.f. 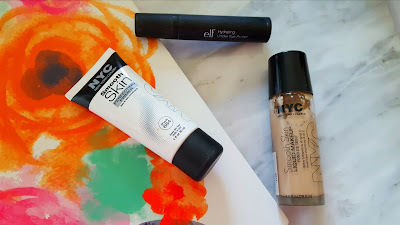 hydrating under eye primer which is amazing is $3 at pretty much any drugstore as well as on e.l.f. 's website. Coverups and powders : I've used the Maybelline Fit me! matte + poreless powder in the shade translucent since I first discovered it and have repurchased it over and over. It retails for $4.97 at most drugstores. The L'Oreal Magic Lumi highlighting concealer is $9.89 which bothers me because a) that's super pricey and b) I don't like it all that much. Time to switch up my concealer, I think. 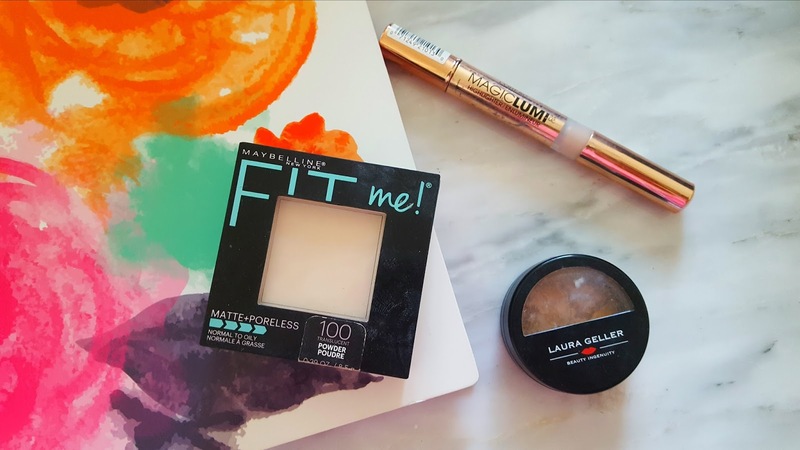 The Laura Gellar balance + brighten foundation powder is a trial size and perfect to set my undereye concealer. I bought it in a kit, but the single product averages out to be $9.75, another pricier item considering I have a lot of cheaper versions that I like just as much. 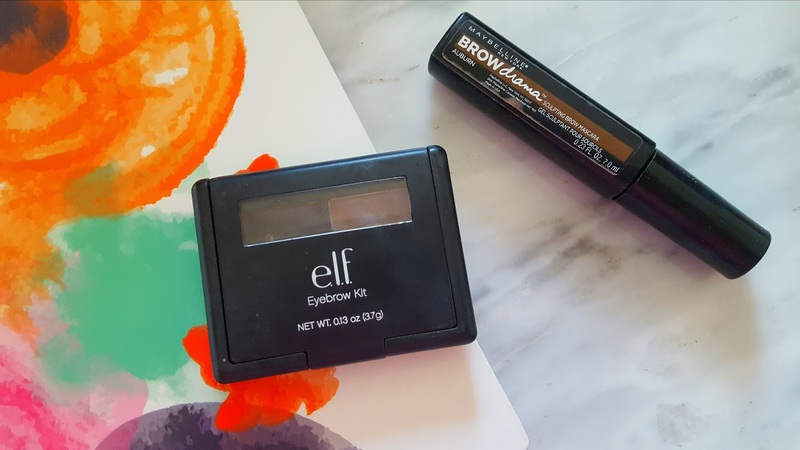 My two eyebrow products are my some of my favorites and products I feel like I'll use for a long time to come. The e.l.f. eyebrow kit runs for $3.00 and the brow drama is $6.99. The formula is one of the best I've ever tried and is a firm favorite. Two more NYC products that are really, really good and super affordable. 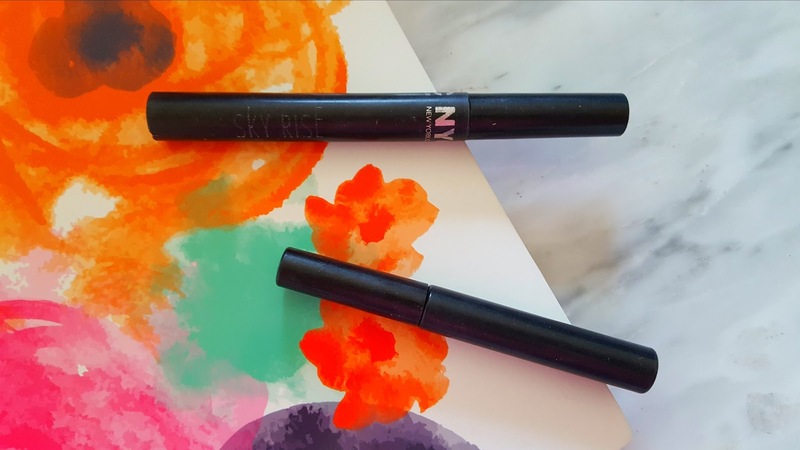 The NYC mascara in Skyrise is super lengthening and the skinny brush makes it really easy to use, even on bottom lashes. I get it for $4.49 which is amazing for a mascara. 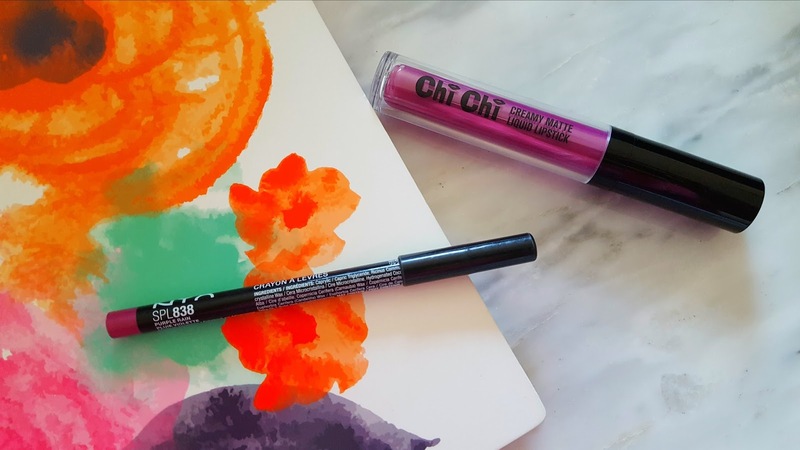 The NYC liner has been a long time favorite and one of two eyeliners I use on a regular basis. It sets me back $5.17, again, amazing for a liquid liner. This NYX baked and illuminating is gorgeous this time of year and has been a frequent guest in my makeup bag. It's in the shade Pink Fetish, lasts forever, and only costs $6.99. 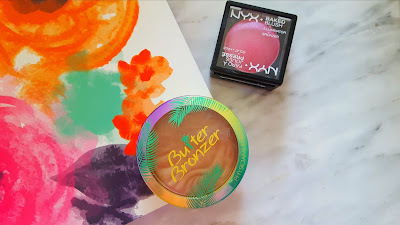 I've talked about this Butter Bronzer in a recent favorites. It's by Physician's Formula, which is, admittedly, one of the pricier drugstore brands so this comes in around $12.50, one of my most expensive products. Still, totally worth it. I loved this post hun, and I've seen a lot of posts where the price comes to a lot higher so don't worry! Also that NYX Baked Blush looks gorgeous! Hope you are having an amazing week so far my wonderful friend!